With the expanding world of e-commerce, more and more companies are resorting to the SMS marketing service to target large groups of audiences on the move. SMS is, therefore, becoming a necessary and efficient multi-channel marketing tool that is gaining huge popularity in the market. You are on your mobile phones for an uncountable number of hours every day. It is this habit of yours that is enabling the companies to the highest point of success in their business. Mobile marketing is one of the best targeted and personalized marketing platforms that can reach millions of customers within minutes. It is also creating a havoc impact in the global markets, thereby heightening its importance. SMS marketing is a hidden gem in the advertising world. Although it sounds, it is very practical. It only demands users who are friendly with a mobile phone. Hen a company sends a text message to a customer, it immediately constructs its own brand name within every household lie also protecting the privacy of the consumer. 1. The channel is direct : Nobody can deny the fact that sending SMS’s is a direct and immediate way of communicating with someone. Statistics say that SMS has a whopping read rate of 97% in approximately 15 minutes of its delivery. Thus you can be easily assured that your critical message will be read by your audience worldwide. Research also reads that almost about 45% significant SMS campaigns generate the most prosperous ROI which reaches near to 50% when combined with other platforms of communication like Ad Spot or Facebook. 2. It supports other channels : When you enter the world of marketing, it is important that all the platforms that you have decided to conduct your marketing through works in coordination. While the SMS channel alone is strong on its own. It supports as well as enhances the performance of other channels. You can also try the voice SMS service which is increasingly on the rise and is dependent upon for quicker outcomes. 3. Getting to know the customers : SMS marketing encourages more and more customer engagement. Researches that on an average almost 31% of consumers reply back to company text messages in just 5 minutes. This means you can expect a progressing result within a short amount of time. The success of SMS marketing also depends on how the brand story interconnects with the customer. The content being sent should be updated and consist of all the details of the forthcoming developments. Although most markets feel that text messaging is quite invasive, it is also true that your audiences will be most familiar with this method. Moreover, you can also expect faster responses for sales offers likes discounts, vouchers, and coupons. You can also monitor the delivery rates of SMS. This helps you save money on campaigns and build a better database for quality returns. You can also target quality customers and improve ROI by segmenting and profiling out the numbers. 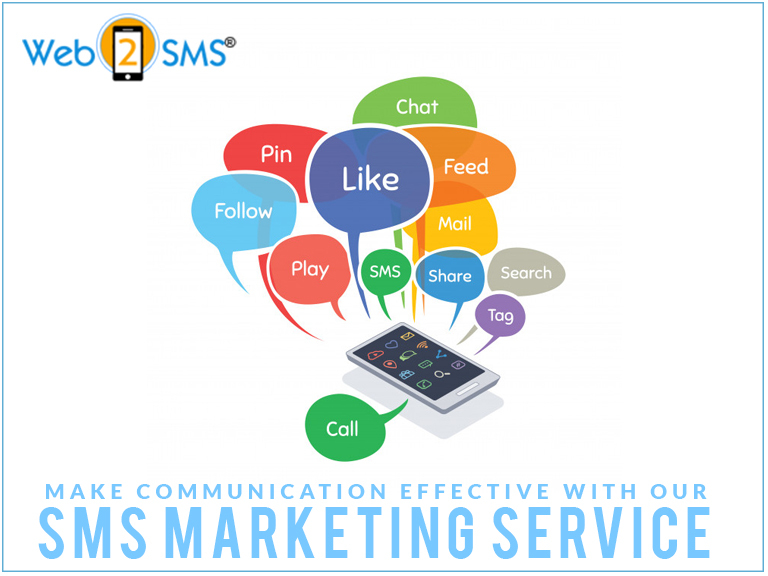 For the best SMS marketing services, you can take a glance at the facilities and price rates offered by “Web2SMS” so that you enjoy long term profits. Previous PostHow convenient this Bulk SMS service is for Digital Marketing?